A beautiful smile conveys confidence and grace to the world around you. You deserve to look and feel your best. If you have unattractive teeth, your cosmetic dentist in Westmont can help. We have the solutions you need to enhance your smile. In just a few visits, we can transform your image and renew your self-esteem using the latest innovations in cosmetic dentistry. We have a cosmetic treatment right for you to help you achieve sensational results. If you have several cosmetic issues, we can correct them using one treatment. Porcelain veneers are custom-made thin shells bonded to the front surfaces of your teeth to improve their color, size, shape, and proportion. This makes them very versatile to hide several flaws at once, like dark tooth discoloration, chips and cracks, gaps, and minor alignment concerns. 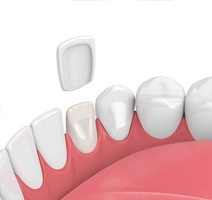 The use of porcelain not only makes them look more natural but also thinner. As a result, less of your enamel is removed during the bonding process to make the treatment minimally invasive. Over the years, your smile will lose its luster from age. The foods and drinks you consume, poor oral hygiene, and smoking can also cause your teeth to darken. If over-the-counter products did not give you the results you wanted, you can achieve noticeable change with a professional whitening treatment. We offer both in-office and at-home whitening systems to get your teeth as much as 8 to 10 shades whiter. The highly concentrated whitening agent is specially formulated to significantly improve stains while minimizing tooth sensitivity. If years of poor oral hygiene habits, trauma, or genetics have given you an unattractive smile, you may need a smile makeover. After performing an initial consultation, we create a treatment plan catering to your individual needs. It may include one or more procedures to build a harmonious, beautiful smile. When designing your new smile, we consider several factors, such as the color, size, and shape of your teeth. Depending on the extent of your cosmetic flaws, it may take more than one appointment to reach the results you want. Misaligned teeth do not just hurt your self-esteem but your oral health as well. 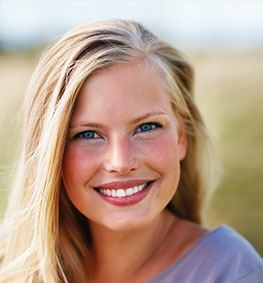 Now, you can enjoy an alternative to traditional braces with Invisalign. 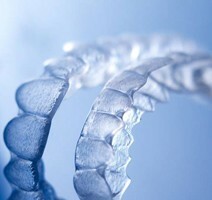 Clear plastic aligners are worn over your teeth to gradually move them into position. This makes the treatment virtually undetectable while also resolving the common disadvantages of metal braces. On average, it only takes about 12 months to finish your series of aligners to give you a lasting, straight smile. If you are ready to fall in love with your smile, we can help. We design a treatment plan that is individualized to your needs to help you achieve your desired results. We would love the opportunity to make you smile. Contact our office today to reserve your appointment. We proudly serve patients in Westmont and the surrounding areas to provide you with the convenient and high-quality care you need.